Cloud App Development Services for businesses not just improve production efficiencies and reduce cost. Running a business in the cloud can also promote“fluid” communications and collaboration between employees; some interface even allows customers to access company data from anywhere provided they have Internet connection. Improving collaboration between employees has become a critical component in today’s labor market where telecommunicating is increasingly becoming the norm. With cloud computing, which centralizes data and streamlines the processes, members can work from anywhere. And with improved collaboration, it is not surprising that cloud users mostly cite time saving and efficiency as the most notable benefits of the platform.For companies whose core operations are virtual, running their business in the cloud has almost become a sacrosanct rule.Ineffective IT management (i.e., in-house network or server) can result in large, recurrent losses. Hence, it is not surprising that cloud users also cite cost saving as one of its most remarkable benefits. While certain types of businesses can still benefit from in-house network, in the event of hardware compromise it may be expensive, difficult, or sometimes even impossible to retrieve the lost data. 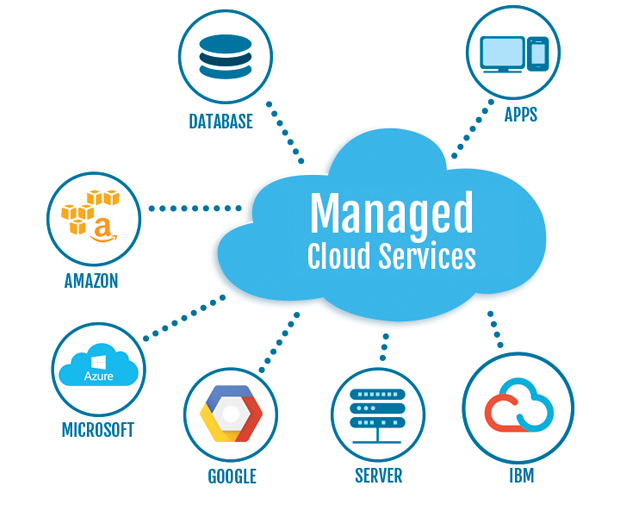 However, this is not an issue with Cloud and Cloud App Development Services in which there is always a backup system that stores the most up-to-date information. Thus, many entrepreneurs have chosen the “hybrid” method—i.e., they maintain their server although some aspects of their business run in the cloud. Security may be another issue with server or in-house network, unless the IT department knows the latest and most potent security protection. If not, cloud service from a reputable third party can definitely provide more security.